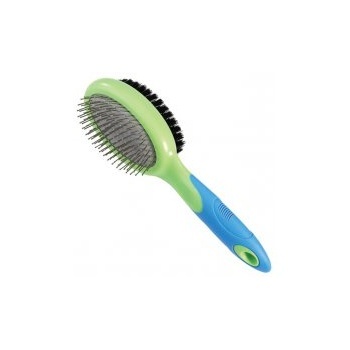 The U-Groom Combo Brush gives you two great ways to take care of your pets. The brush has boar bristles on one side and stainless steel pins with safety tips on the other side. It comes in a very modern blue and green colour combination. Ideal all-purpose brush for home groomin. One side has stainless steel pins with rounded tips for safety. 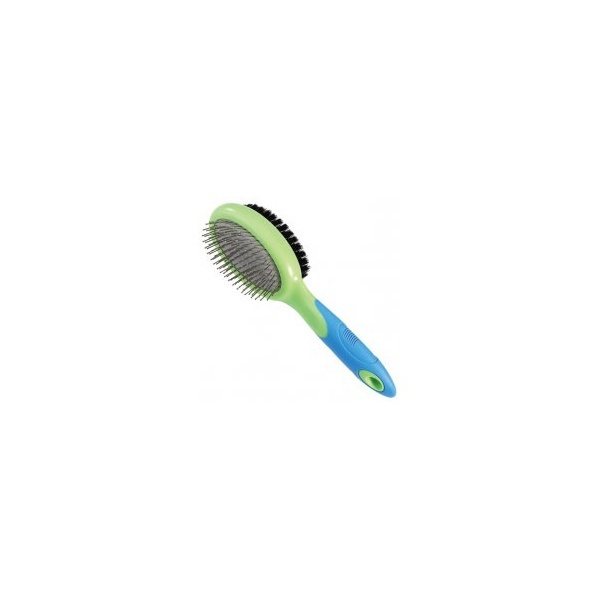 Nylon bristles on reverse side bring out the coats shine by distributing skin oils over the hair. Total length of brush is 9"
Brush surface is 3 1/2" x 1 3/4"